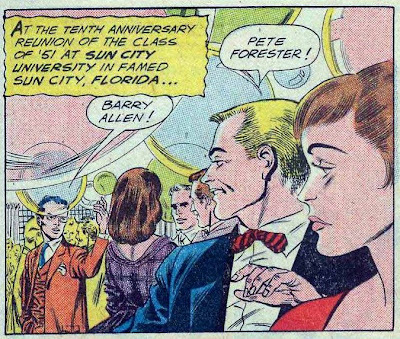 Continuing my post on Batman and the Aliens, we turn to 1962. The New York Mets established the record for most losses in a season with 120. 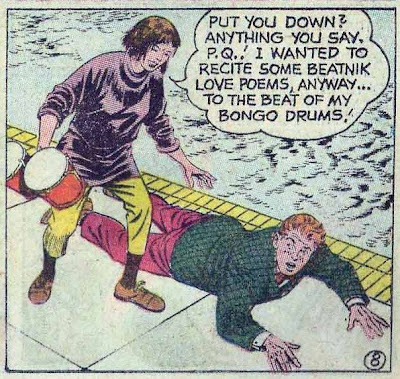 The number one song of the year was Bobby Vinton's Roses Are Red, My Love. The #1 TV show was Wagon Train, and the Green Bay Packers won the NFL Championship against the New York Giants. Status: True aliens, three green, one white and all human-sized. Status: Fake aliens as part of an amusement park. Status: True aliens, human sized and green. Status: True alien, orange and human-sized. 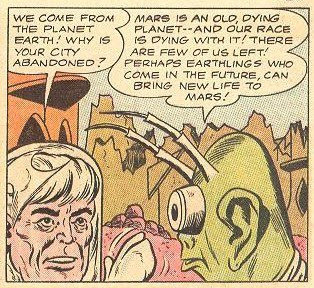 Status: Fake aliens. Batman and Robin fake a journey to Mars to repay an old, aspiring astronaut who once saved Batman's life. 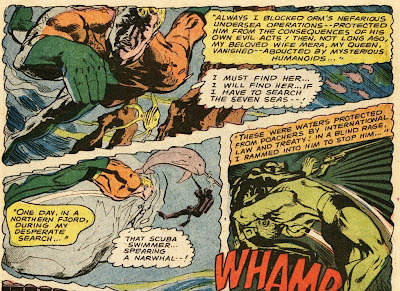 Marvel didn't spring out of thin air in the early 1960s; rather it developed slowly, evolving out of the Atlas line, which mostly consisted of so-called "horror" titles like Strange Tales, Journey into Mystery, Tales to Astonish and Tales of Suspense. 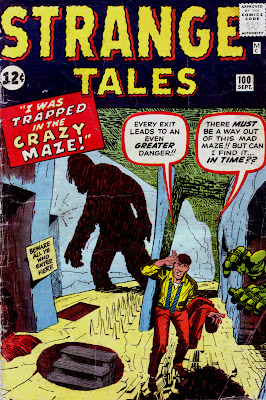 This was the last all-horror Strange Tales issue; with #101 the magazine began featuring the Human Torch series. Then a new maze opens up in town. This one doesn't offer a prize, but it's fun and costs less than Charlie's maze. Losing business, Charlie accepts a deal from the new maze owner; if he can find his way out of the new maze, the new owner will pack up and leave town. Charlie agrees, but as he searches the new maze, he cannot find the way out. In the end we learn there is one exit: down to Hell, and the new owner is the devil himself. Comments: Nice ending, overall an entertaining story. Charlie had killed a newspaper reporter who was onto him, so there's no question he deserved his fate. Realizing that his duplicate is just as power mad and greedy as himself, Zarago kills him. But in the meantime, the machine has spit out a dozen more dopplegangers, and the army, in the confusion, rises up against the multiple Zaragos and destroys them all, including the original. A democracy is instituted. 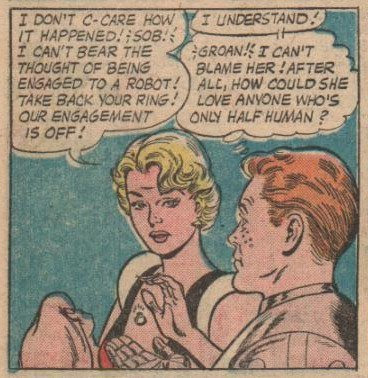 And the inventor discloses to the reader that he planned this all along because Earth has no room for men like Zarago. Comments: A clever story, although it would have been stronger if we knew who the inventor was. Was he a CIA agent sent to overthrow Zarago? Was he someone who lost a family member in the revolution that brought Zarago to power? Comments: Entertaining, but entirely predictable. 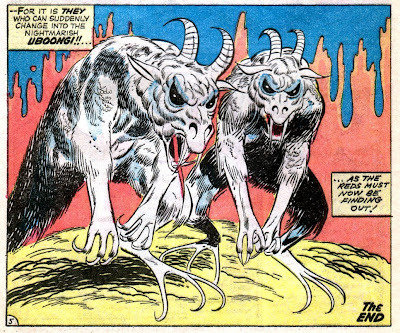 Art by Don Heck. 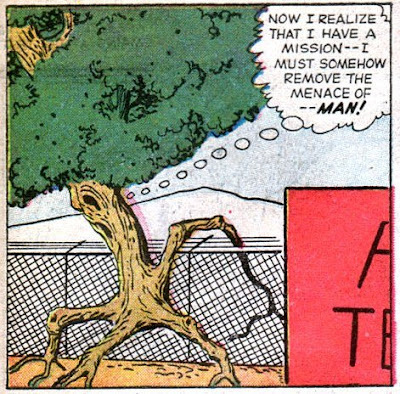 The final story is The Mighty Oak, drawn by Steve Ditko. An oak tree near the site of an atomic blast suddenly finds itself sentient, and capable of moving about. The oak begins planting little acorns wherever it goes, knowing that they will grow up to be intelligent oaks as well, and one day, when they have sufficient numbers they will take over. Comments: Surprising ending. 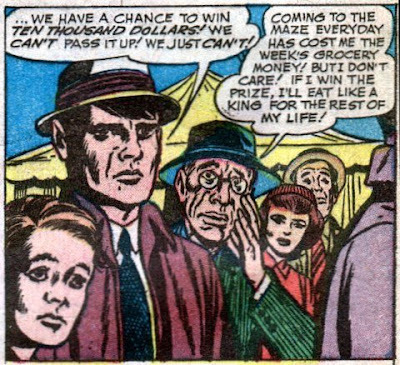 There were a lot of "mankind has screwed things up royally," plots around in the early 1960s; it seemed like a rare episode of the Twilight Zone that didn't have that as an underlying theme. Still it's hard to believe that not only would scientists welcome our new oak overlords, but that they'd actually create them. 1. Who told Barry Allen, "You're my best friend, Barry!" 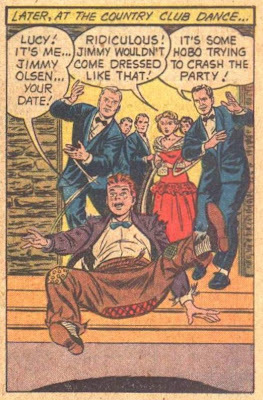 and after that story never appeared again in the Silver Age? Fred Pearson, an actor who played the part of a gorilla in a theatrical production. 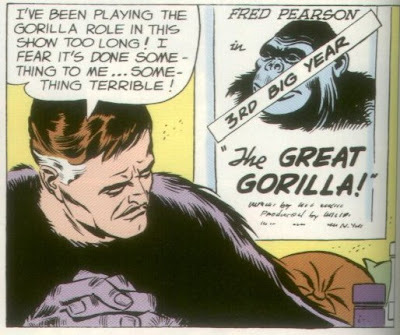 In the story (from Flash #106), Grodd is the gorilla who's menacing the city, and Fred wonders if he's to blame. Fred does not appear again. 2. What Flash villain was inspired by a competition to represent a game company? 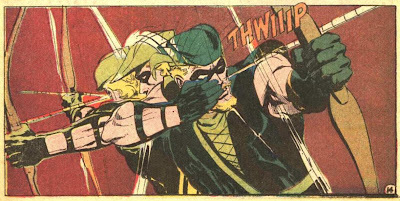 Captain Boomerang was created by the W.W. Wiggins Game Company to advertise their new hit toy boomerangs, but the person they chose to represent the character turned out to be a crook named Digger Harkness. 3. 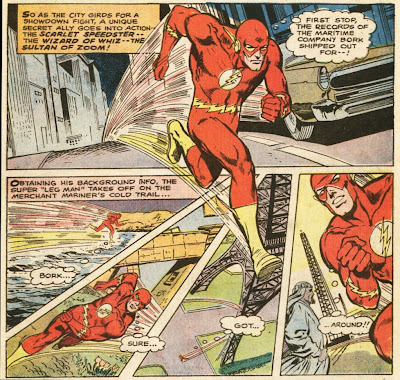 What Flash villain had the reverse name of a famous outlaw? 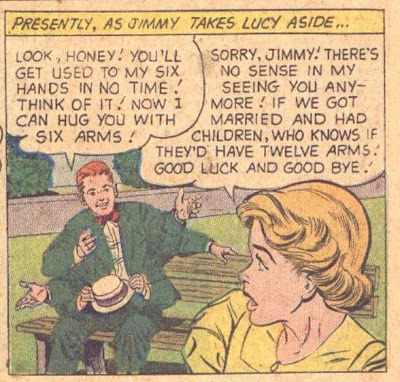 The Trickster's real name was James Jesse. 4. 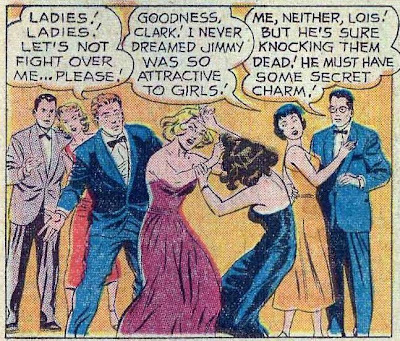 What Flash villain passed up a lifetime in another dimension with beautiful women waiting on him hand and foot? The Mirror Master, as discussed here. 5. What college did Barry Allen graduate from? Barry was an alumnus of Sun City University. Jim got #2, 3 and 4, as did Michael Rebain. Dan of the Beat Down got all five correct. Great job! This is going to be another long post over time, but I am just starting the topic today and will add to it as I discover more information. Batman had a long history with aliens, which did not start with Jack Schiff's editorship of the Bat-titles, but certainly did end with him. I will backtrack from the end of Schiff's reign in April 1964; this initial post will cover the alien stories from 1963 and 1964. 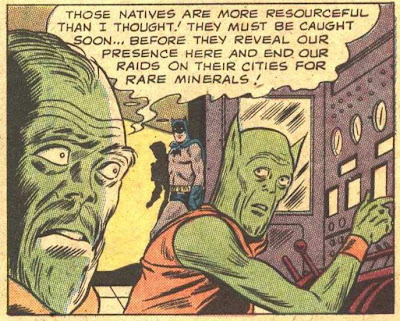 Note: I will not consider unintelligent alien creatures, largely because that would get too detailed on stories where Batman and Robin visit other worlds. Status: True alien. Bald, green and human-sized with big ears. Score it three Klaatus out of five. Although the story is terrific the alien doesn't add much to it. Status: True alien. Winged, multi-colored (green, orange and white), bird-like. Four Klaatus out of five. Status: Not an alien; this is a dream sequence. But this issue turns out to be more of a weird transformation story, as a ray from the space ship turns them green (temporarily). 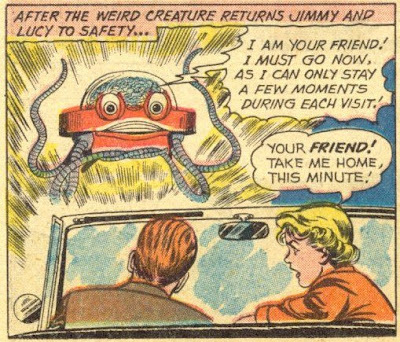 And we never see any actual aliens, so this one doesn't count as a real alien encounter. Status: Not a true alien; this was a crook pretending to be an alien. 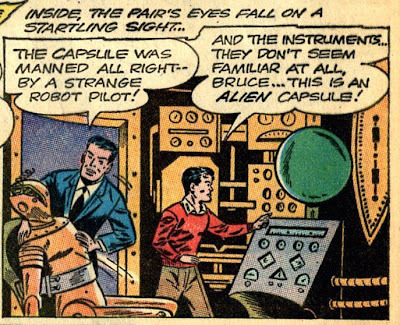 Detective #326 features the last of the alien stories, in Captives of the Alien Zoo. 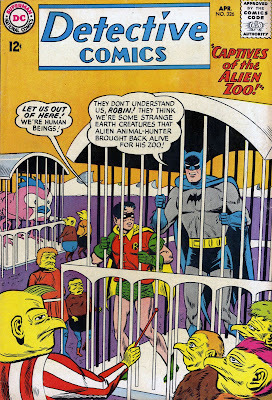 Batman and Robin are captured by aliens who not only run a zoo, but are crooks on the side. Status: True aliens, undersized and yellow-green in color. Rating: As the final alien encounter for Batman, I have to give it five Klaatus out of five. The story is a good one, about how to prove to the aliens that they are intelligent beings and not just dumb animals suitable for circus work. 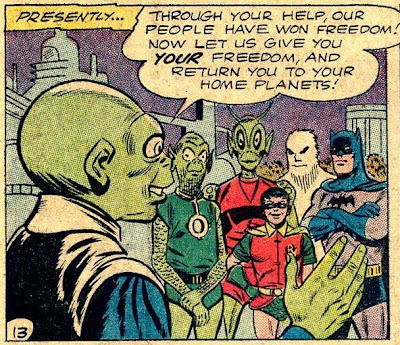 Julius Schwartz arrived in May 1964, and while he didn't eliminate the science fiction elements from Batman entirely, he did eliminate the cheesy sci-fi; the aliens were gone; except of course for World's Finest and the Justice League. But aside from those stories, I don't think Batman ever encountered another alien. Update: I should mention here that the style of this post is based loosely on the Comic Treadmill's terrific Prop Stars posts, which explore the various giant props used in Batman stories. 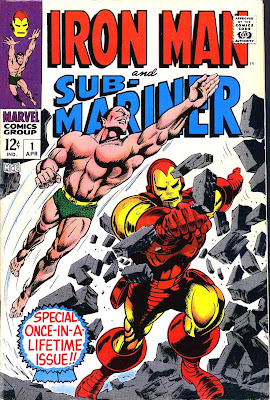 Having shared a magazine with Captain America for the last 40 months, Iron Man found himself in the oddball situation of sharing a magazine with the Sub-Mariner for one month, Iron Man and Sub-Mariner #1. I assume that with all the changes going on at Marvel--Captain America, the Hulk, Dr Strange and Nick Fury all graduating to their own magazines from being 1/2 of a comic prior to that month, Stan and company found themselves stretched pretty thin and put the Iron Man and Subby stories into this one-shot. When we last saw Iron Man, he was trapped in a secret compartment underneath a Maggia ship that was under fire from the forces of AIM. 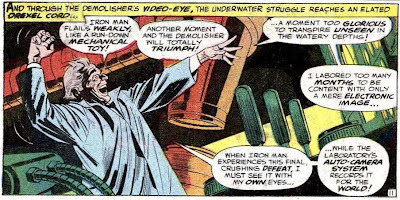 Iron Man breaks free and is able to recharge before being grabbed by a "vortex suction beam" that delivers him to AIM's submarine. But it quickly turns out her affections are simply a ruse; she is actually Big M, the leader of the Maggia, trying to subvert Sitwell to her side. There was a long history of the noble guys falling in love with an evil woman in the Marvel Universe starting with Hawkeye and the Black Widow (before she switched sides) and Balder and Karnilla, queen of the Norns. 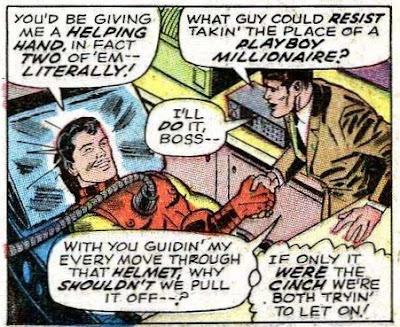 Iron Man is subdued by gas and delivered by the agents of AIM to Mordius, their new leader, who plans to survey his armor completely and duplicate it. He creates three new suits which he gives to his men. Iron Man breaks free (he was just faking being gassed) and battles his three dupes. They find it surprisingly difficult to control the weapons in the armor, but Tony knows it's because his armor refracted Mordius' X-rays. 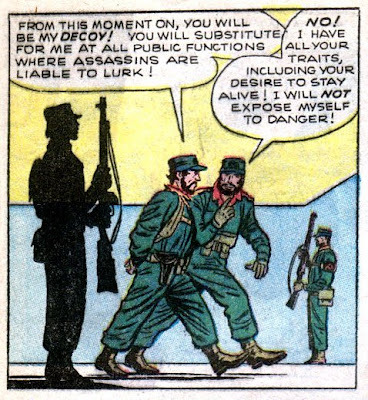 Um, isn't that sort of a violation of the Avenger Code? Seems pretty obvious that the indication there is that IM caused an explosion that killed Mordius and several members of AIM. In the second issue, Drexel Cord is a weapons manufacturer who has been driven mad by losing important contracts to Tony Stark. He designs a robot called the Demolisher that will attack Iron Man by tracking his power supply. In this regard he seems something of an amalgam of The Mysterious Melter, who was also a Stark competitor, and Smythe, the inventor of the Spider Slayer. 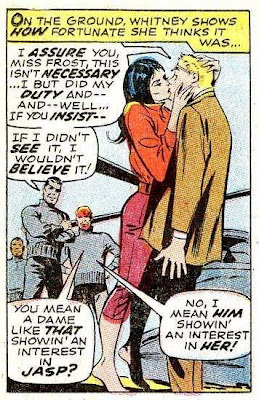 His daughter, Janice Cord, is aware of his intentions and departs for Stark's factory, where she encounters Jasper Sitwell. Together they head back for her father's plant. Meanwhile Iron Man is taking a terrific beating and as usual, is running short on power. Cord deliberately destroys the computer controlling the Demolisher, rather than let Sitwell take over and save Iron Man. However, the Demolisher now doesn't differentiate between targets, and Cord is appalled to discover that his machine is threatening his daughter. 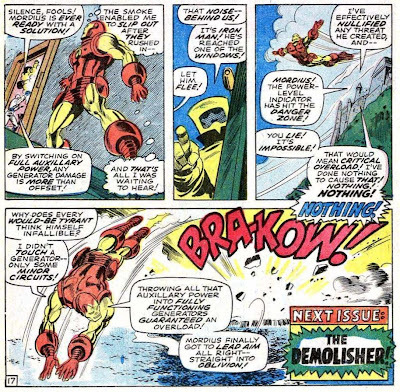 He saves her by attacking the robot, but is killed in the process, just before Iron Man finishes off the Demolisher. Johnny Craig had been inking the last few issues and he took over on pencils with Iron Man #2. 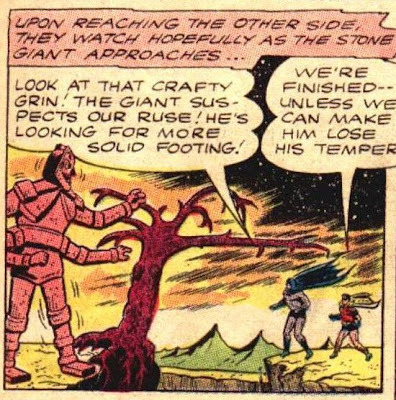 Craig was a terrific artist in the Golden Age, but his Iron Man seems a little stiff compared to Colan. 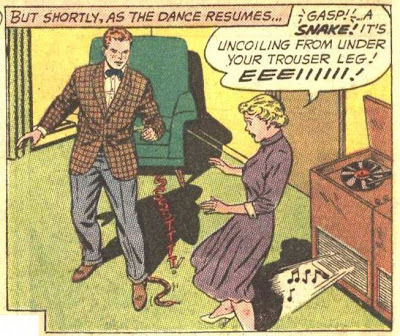 In addition, Archie Goodwin took over the scripting chores. 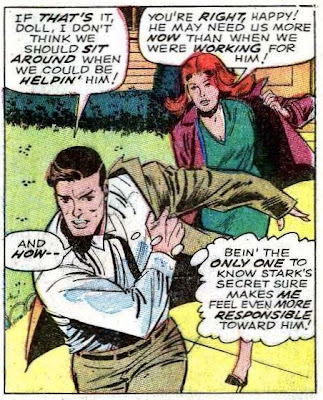 The introduction of Janice Cord is important, as Tony Stark had been lacking a love interest since Happy and Pepper's marriage. Speaking of that couple, they have not been seen in almost a year at this point. Say what? I didn't see anything about them quitting. At a crucial point in the process, however, Tony's heart begins to give out. Happy goes against orders and gives the new integrated circuit costume an extra blast of cobalt radiation to give it the ability to absorb power from heat or cold, but after getting the suit to his boss in the nick of time, he begins to feel strange. Comments: Overall the stories establish plot points for the future (particularly Janice Cord, and Sitwell and the Big M), but are pretty much standard Marvel plots. Villains who only come back to reality when their daughter/son is threatened by their schemes? And the "I'm almost out of power" dodge is getting old; indeed Goodwin indicates at one point that perhaps he will be dropping it with the new suit, which will now be able to draw power from heat and cold. It was interesting to see the switch from the long-running transistors to integrated circuits; I suppose some letter-writer from Cal Tech or MIT had alerted Stan or Archie to the newest technology. This is an aside, but transistors were really hot in the early 1960s. I remember getting a "transistor radio" for my ninth birthday, and while it didn't freak me out, a lot of the adults expressed astonishment at such a small radio. 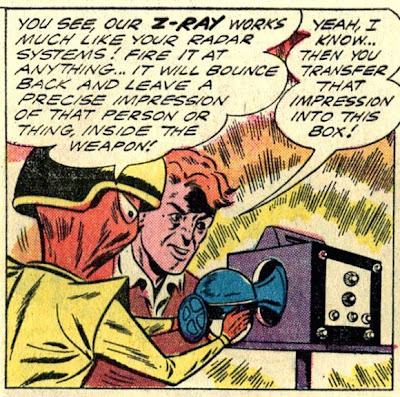 It was quite common for manufacturers back then to pack transistors in to their plastic boxes so they could claim to be an "8-Transistor" radio, but if you analyzed the circuits, you'd find that four or five of them weren't even functioning. More of the "When I'm the Evil Genius" series. Thanks to Tom Spurgeon, the Comics Reporter (formerly editor of the Comics Journal) for recommending Silver Age Comics. I do feel that after four years of doing this, I have hit my stride; indeed, I look back at some of the earlier entries and think they look like notes for posts, not posts themselves. This brings up another issue: the blog's template. While I would love to upgrade to the newest blogger templates, with followers and the like, I have a little problem. Blogger tells me that it will write over my old template, but save it. The problem is that I will have to manually go back and add in my old Haloscan comments, and I've already experienced troubles with that. At one point I thought I'd lost all the old comments and don't want to repeat that experience. Karl LaFong has a terrific post up on Walt Disney's Comics and Stories, with a special focus on Donald Duck. Who can blame Donald for winking at that curvy gal, eh? After all, Daisy is a duck! But, erm, hang on a tick - so is Donald. I forgot for a moment. Also, Don seems to be wearing more in the trouser department when he's on the beach than he does at home. I'm confused. As usual. Yep, around the house Donald wears that sailor suit top, but in the comic in question he's wearing swim trunks. Scipio is having an entire week dedicated to Black Hand, the Boy Scout of comic book villains (because his motto is "Be Prepared"). 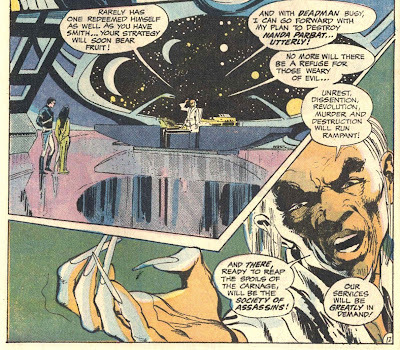 Hey, Black Hand, newsflash: real supervillains don't use Cliff Notes. Real supervillains commit crimes that spell out their names or form some kind of a pattern on a map of the city. 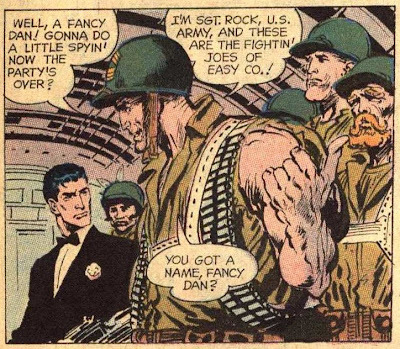 I look at Black Hand as an indicator that writers were beginning to push the bubble of the Comics Code Authority, which stipulated in part that the reader should not get too many details on how to commit crimes. 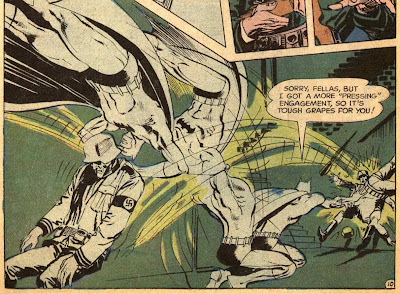 Black Hand was a throwback to those Golden Age Batman stories that I like to call "How to Build a Better Criminal". 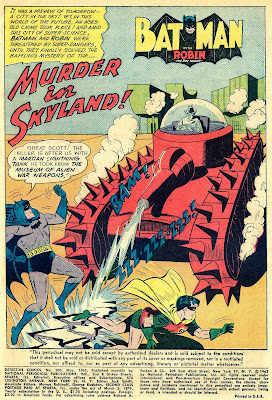 I briefly delinked Chris at I Believe in Bat-Mite for not posting; since then he's been on a tear and I have of course restored him to the blogroll. Check out this review of The Black Casebook. Grant Morrison's recent run on Batman brought back many concepts from the Golden and Silver Ages, including the Batmen Around the World and Bat-Mite himself, and this book reprints the original stories from the 1950s and 1960s. The Legion Omnicon has a roundup of the latest news on the Siegel/DC lawsuit over the rights to Superman. This brings up another anecdote in Man of Two Worlds. 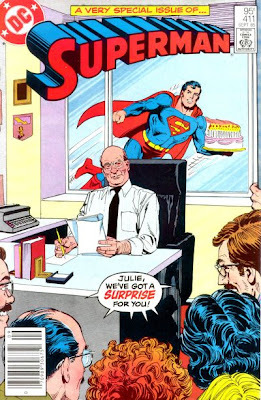 Julius Schwartz decided that for his final Superman story, he wanted to have a story that wrapped up the series, almost as if it was actually ending with his run. 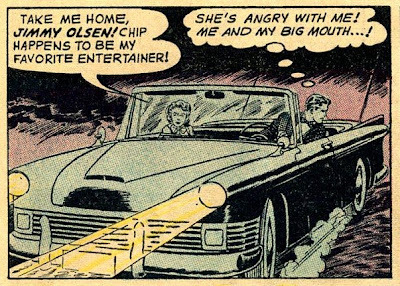 He decided that Jerry Siegel would be the perfect writer, but Siegel wouldn't do the story on a contract for hire, since that was how he lost the rights to Superman in the first place, and DC wouldn't do it without a contract. And so it was that a young comic writer named Alan Moore was given the assignment to write Whatever Happened to the Man of Tomorrow, generally acknowledged as one of the finest Superman stories ever. Johnny Bacardi covers Red Wolf, an American Indian character who debuted in 1970. The premise was this: Wolfy was now Johnny Wakely, a Native American man whose parents were killed when he was a child by Pony Soldiers, and who was subsequently given to a white family to raise. Fortunately, the Wakelys were (mostly) good people (Fox often went out of his way to let us know that most of the crude and rude white folks were prejudiced against Injuns, even Mr. Wakely), and Wakely grew up relatively happy if quite a bit conflicted. 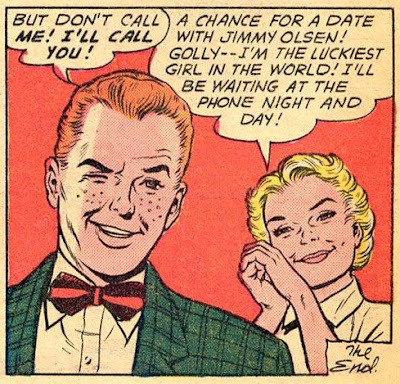 Interesting choice for a last name; DC had a series from 1949-1952 based on Jimmy Wakely, a singing cowboy of the Roy Rogers style. Note: This is not the cover to the book, but this comic gets referenced inside the book so I thought I'd put it here. The book is long on anecdotes, polished and well-told. Schwartz was a speaker at many comic and science fiction conventions, and obviously knew how to entertain his audience. Unfortunately, polished anecdotes have a downside; oftentimes they have been embellished over the years by the speaker to make them more humorous or ironic. Note: This is true of anybody's anecdotes, so I'm certainly not accusing Schwartz of misrepresenting himself. But any historian worth his salt knows that anecdotal history tends to bear only occasional resemblance to the actual facts. The Sultan of Swat signed a contract with the Yankees in 1927 for a record eighty thousand dollars, making him the highest paid baseball player. He was asked to justify eighty grand when at the time Herbert Hoover, the President of the United States was only making seventy-five thousand dollars. Ruth snapped back, "I had a better year than Hoover. Besides how many home runs did Hoover hit last year?" This is a very famous baseball anecdote, but the timing is off. Hoover wasn't president in 1927 (he didn't take office until 1929). Indeed, the fact that the story is generally told as of 1930 makes it punchier because of course the Depression had started in 1929. The book opens with a terrific joke. Schwartz notes that he was always punctual, preferring to be an hour early rather than a minute late, and says that his gravestone will read: HERE LIES JULIUS SCHWARTZ: HE MADE HIS LAST DEADLINE. 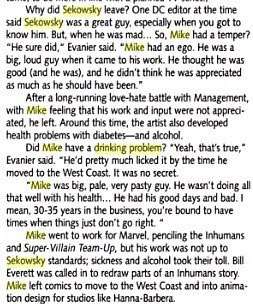 Also, Mike [Sekowsky] used to like to have a drink with lunch on occasion. When he was doing Justice League for me I remember once when I had to tell him, "Mike, you have to do the cover today, so when you come back from lunch you have to be prepared to do the cover. So no more than two martinis for lunch. 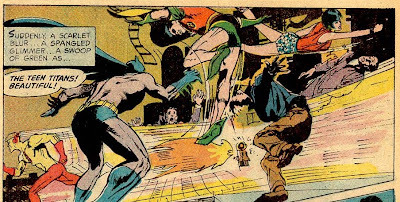 ....And on occasion, when Mike didn't come back from lunch, I had to summon someone else (usually Murphy Anderson) to pitch in on the work that was on deadline. Ouch! As I said when I profiled Schwartz a few months ago, nobody has a bad word to say about him, so I assume that story did not seem as unkind at conventions as it does in print. Update: Tom in the comments notes that Sekowsky's drinking problem is well-documented and led to his ouster from the Supergirl and Wonder Woman features. The drinking problem is discussed here. 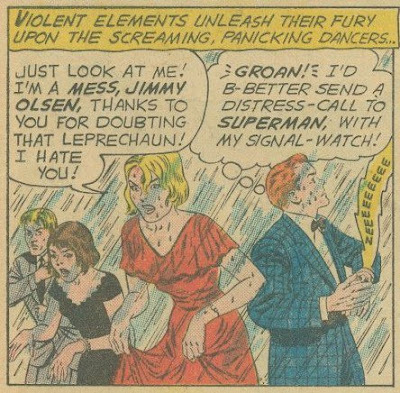 JG: Mike Sekowsky had a very bad temper. Anyone that crossed him had better look out. He drank... He was the go-to guy, but began to deteriorate later. One day he completed a story and I was asked to ink it, but it was very bad and I couldn't ink it. I was asked to re-pencil it and I did so gladly, because Mike really saved me once on a job and wouldn't accept a dime for his help... I liked Mike very much, but the drinking was really starting to hurt him. So it appears that this was well-known in the industry and not some case of Schwartz airing family laundry. My apologies! 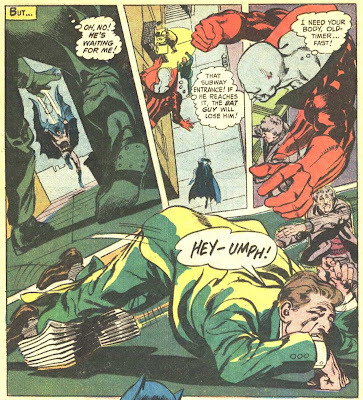 Schwartz acknowledges the huge mistake in Detective #327, his first Batman tale, which featured Batman picking up a gun and holding it on some crooks that he and Robin had already defeated. And he talks about the death of Alfred, another topic I have discussed. Overall, I rate the book as a very entertaining read for anybody with an interest in the Silver Age of Comics. You might say, "Oof!" too, if you got hit there with a giant typewriter key. 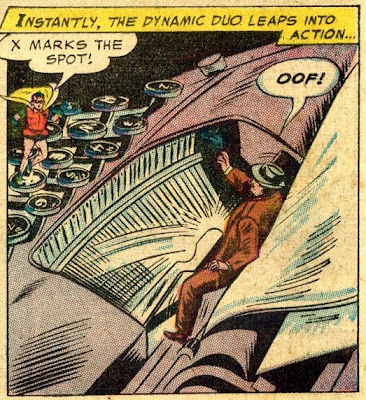 That is perfect; the atmosphere, the angles, the witness discovered in the final panel. 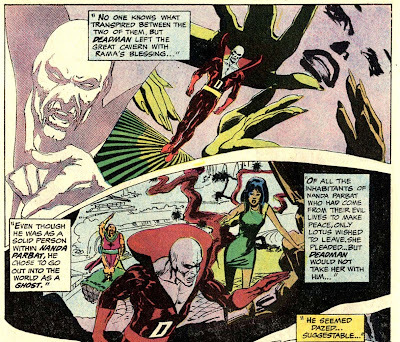 The story brings in Deadman, the character that Adams had worked on during the final issues of Strange Adventures before it became a reprint magazine, so there was another reason for him to do the issue. 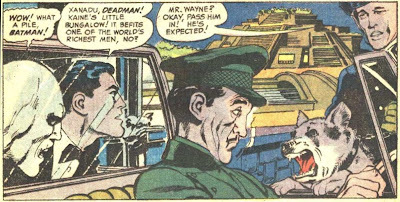 Note the cute little sight gag there with Alfred and the dog. I previously talked about that issue here. Just a beautiful issue. 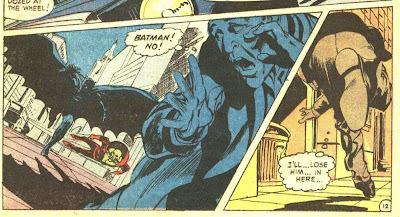 Unfortunately, that was basically it for Adams in Brave & Bold for awhile, but not to cry; the next story he drew for Batman was the classic, Secret of the Waiting Graves from Detective #395. 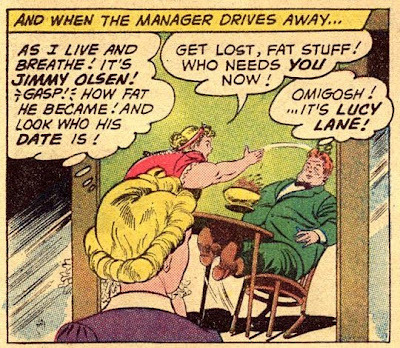 But I'll have to cover that and some of the other Adams Silver Age in a future post.